Cedar reigns supreme – whether for farmhouse style, Northwest natural, or just to add texture and detail. Think about the Northwest, and your mind turns toward the shady, rainy landscape and its forests packed with tall trees that thrive in the mild, wet climate. To mirror the natural environment all around, homeowners, commercial builders, and architects in the region turn to wood as both a primary material for siding and exteriors as well as for interior accents in the form of sawn beams, shiplap walls, custom counters, tongue-and-groove ceilings, furniture and mantels. Fueled by popular television shows like “Fixer Upper” and shelter websites, the “wood look” is in – whether for farmhouse style, Northwest natural look, or to add texture and detail to a home. 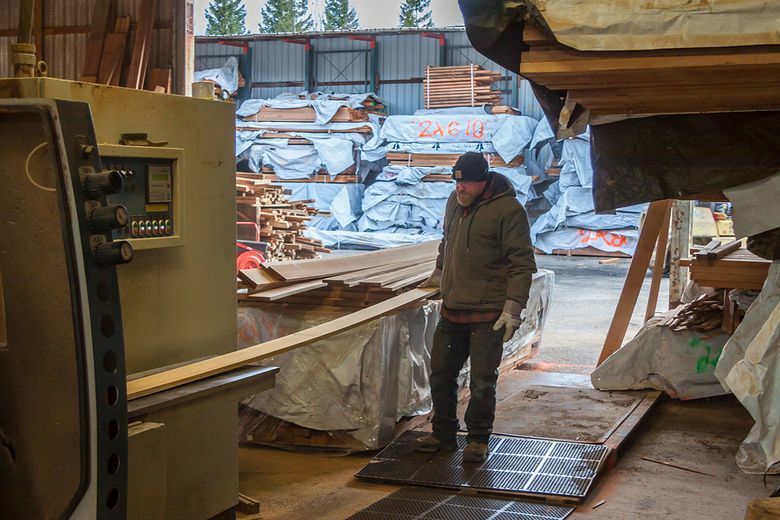 The process of converting planked wood into purchase-ready surfaces is simple, says Stacy Kovats, who directs marketing at century-old Issaquah Cedar and Lumber in Issaquah. On an afternoon tour of the sweet-smelling Issaquah Cedar showroom and manufacturing facility, where a staff of 15 turns out 2.4 million board feet of wood per year, wood cants are stacked in horizontal piles, ready to be altered into shapes clients have requested. Raw wood is cut into planks, then it is sent through a molder – a machine that hones the wood’s edges into endless custom shapes. 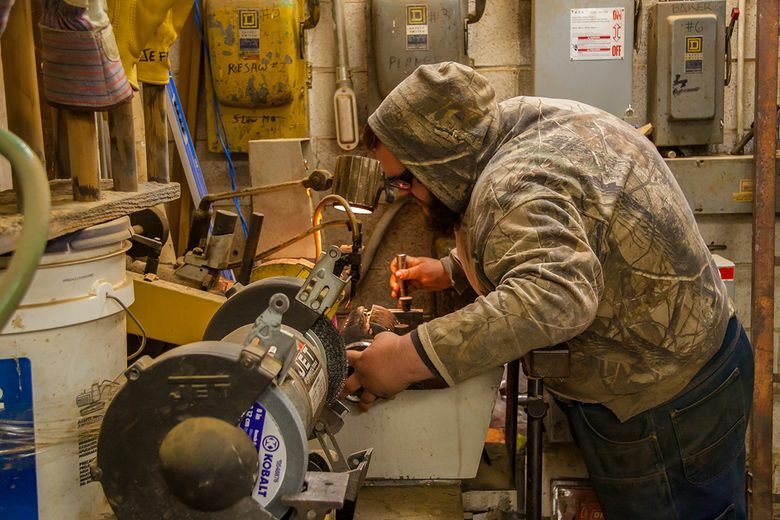 To operate the molder, technicians choose from among thousands of custom knife blades which are inserted into interchangeable rotors that turn at 8,000 revolutions per minute, expertly and rapidly shaping wood pieces into clients’ custom requests or industry-standard sizes. 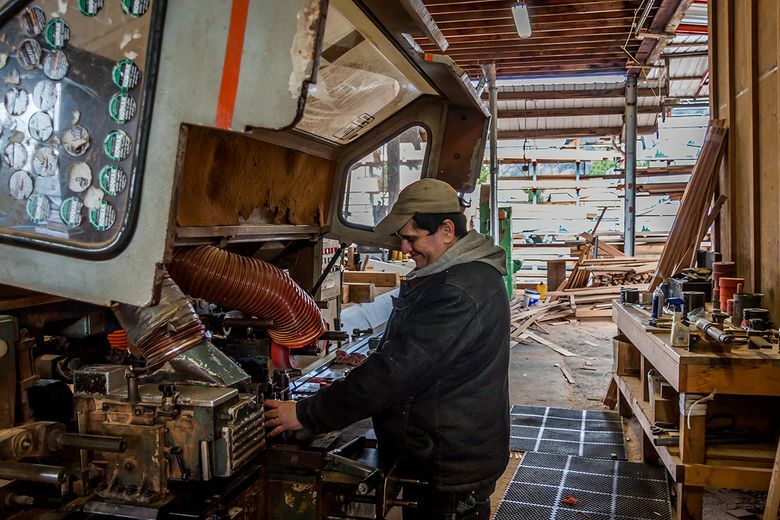 “We’ve got thousands of these knives,” Kovats explains, pointing out the room where the molder’s tool set resides and the dozens of drawers containing countless profiles. “The molder’s a little like the Play Doh Fun Factory,” she jokes on a noisy walk through the outdoor storage and cutting facilities. The company’s consumer retail business, once focused on decking, fencing, and siding, has broadened to include decorative wood pieces used for arbors and outdoor rooms, as well as for home décor – where slabs make for one-of-a-kind mantels or tabletops. Many customers like slabs that retain their natural, uneven edges – known as “live edge” slabs – and which make for a statement piece when used for coffee tables or bar or countertops. Also popular indoors and out: Shou Sugi Ban, a centuries-old Japanese wood-burning technique that darkens cedar while also making it more fire, moisture, and insect-resistant – an aesthetic change that delivers practical benefits. While using wood indoors is trendy, it’s also a design element that’s been in use for centuries. Historic reproduction projects and renovations of past buildings require custom-milled wood resembling original designs. For example, Issaquah Cedar is working on major projects for Fort Worden, the 70-building waterfront complex in Port Townsend, Wash., that dates back to the late 19th century and was once a military fort. The company also fields dozens of requests for beveled wooden siding from owners of midcentury homes looking for exact replicas of their current worn siding. 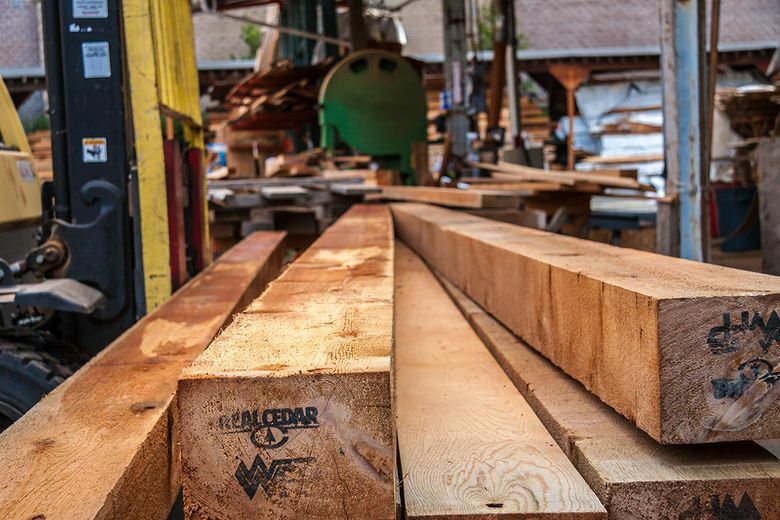 Issaquah Cedar and Lumber has been in business for over 115 years. 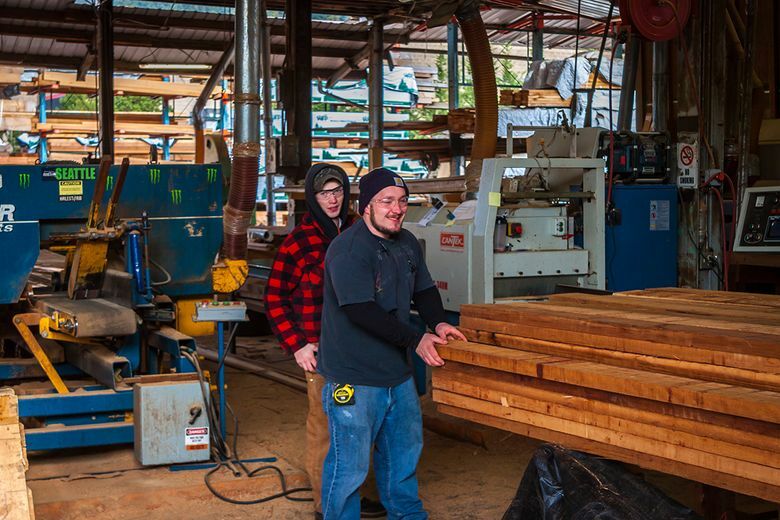 We supply the Puget Sound area with the highest-quality Western red cedar products and materials, including decking, siding, beams, shakes, shingles and custom-milled cedar materials.